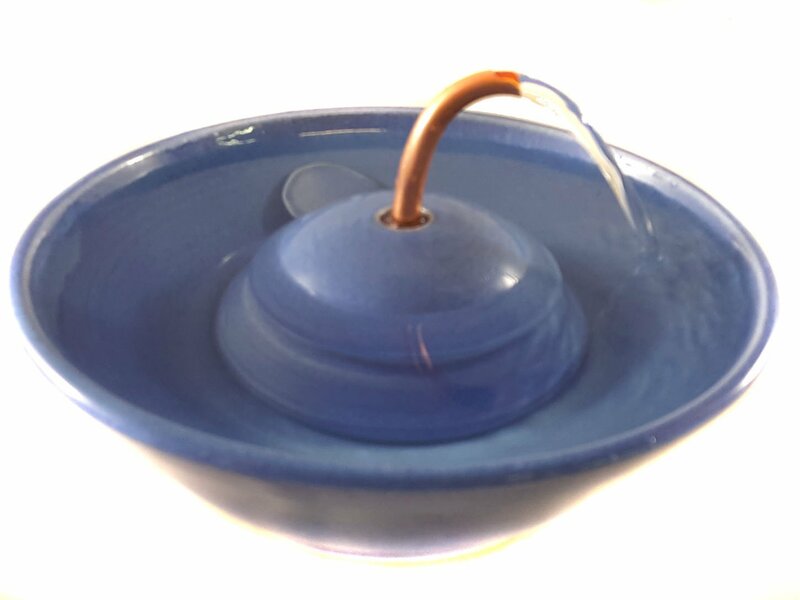 cat fountain with an antimicrobial Serenity Flow copper cat tap. An excellent fountain for faucet loving cats. They can drink from the stream or the bowl. The bubble up cat tap is included for variety. * 3.25 inches high and 10 inches in diameter. 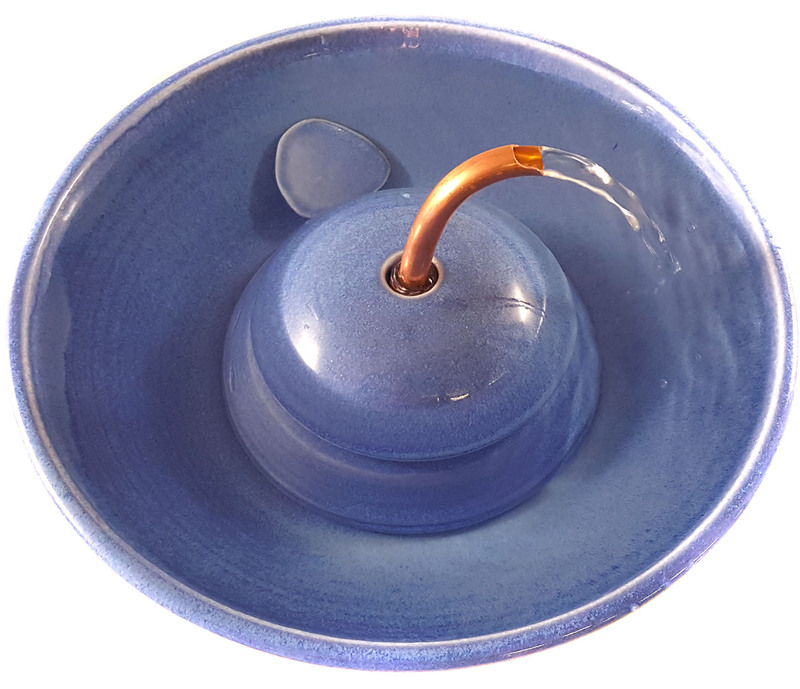 This is a cat fountain design few cats can resist with an antimicrobial Serenity Flow which delivers a soothing stream you can adjust in flow and can turn in any direction. Also comes with the straight antimicrobial copper spout. Swap them for variety. Cats love it. The glaze is our own Azure showing a rich blend of blues. 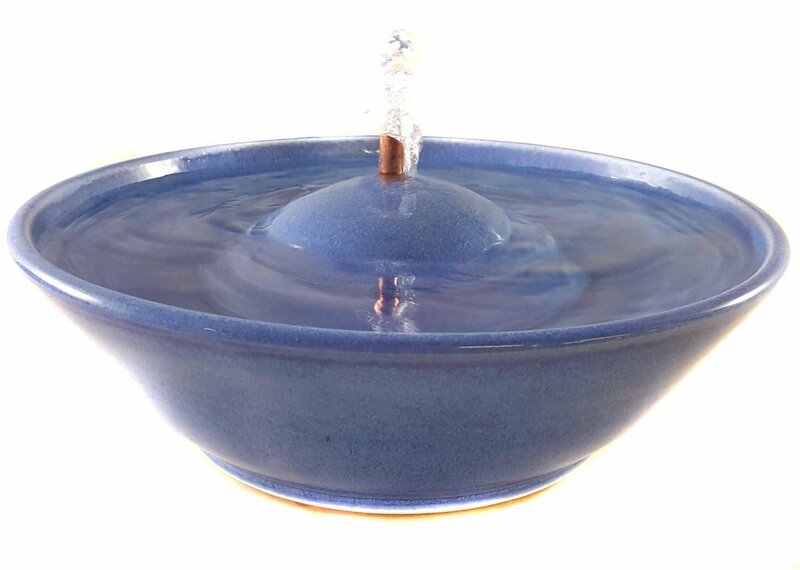 The fountain and Serenity Flow would normally sell individually for a total of $166. Reduced by $10.